Kingdom Hearts HD 2.5 Trailers Reminds You Final Fantasy Exists! Whenever I look at advertising or trailers the Kingdom Hearts series, it's always the Disney characters which get played up the most. Check out the trailer above for what, I mean. Disney all-stars steal the stage from the likes of our favorite Final Fantasy heroes. 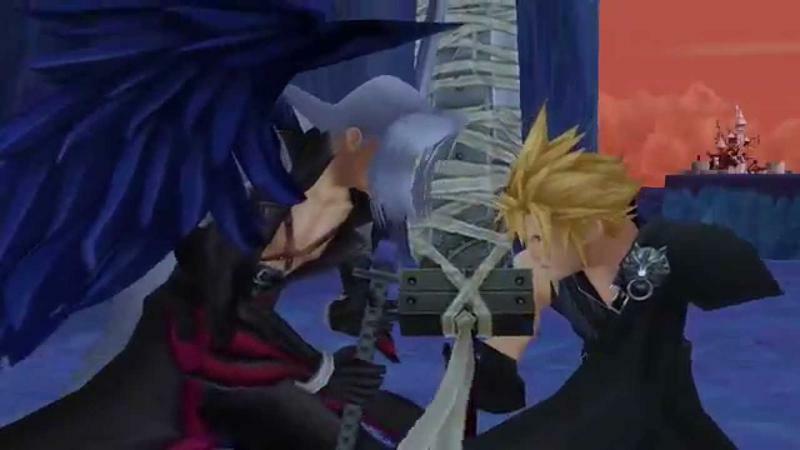 Goofy and Donald are of course always in your party, and Sora is actually based off of a character from The Bouncer. Luckily, Square Enix reminds us all that the series hasn't totally forgotten its roots as a fun little crossover between the two properties. A second trailer highlights the worlds of Disney and Final Fantasy blending together, summing up my innocent and nerdy childhood in two-and-a-half minutes. It seems that the Final Fantasy elements though have been reduced to the status of "cameo" rather than an equal partner in a collaborative series. The whole gang is here too with Squall, Cloud, Yuffie, Aeris, Tifa, Auron, Slephie, Rinoa, Cid Highwind, Zack, Setzer, Moogles, Sephiroth and… Snow, ugh. He needs to be careful who he is calling a "lamer." Takes one to know one! Can you guess which trailer I like better? It's not that hard! Kingdom Hearts HD 2.5 REmix will be released for the PlayStation 3 on Dec. 2nd.